life is a story… how are you documenting yours? Since my last post about how much I hate using our stroller I tried it out a few more times with even less success. Luella cried all the way home from the shops in it and I felt horrible knowing she’d have been fine if I were wearing her. Beyond just feeling really lame as I elaborated on last time, it began to feel just really unnatural. When I looked at Lu in the stroller she always looked really bored. Disengaged from the world – so opposite her usual curious self. Why was this so difficult for both of us? Then I read this article from Boba – the company that make my carrier and Sleepy wrap. Now, normally I advocate ignoring advice from a company who stands to profit off of what they’re telling you. However, this article is extremely thorough and well-researched with a long list of citations for every claim. Anyway, the gist of it is that there are so many benefits to baby-wearing, both physiologically and psychologically. Things I’d never even heard before like lower rates of ear infections, and a lower likelihood of developing a fear of heights later in life (a big phobia of mine!). It was one of those articles where I read it and everything clicked. Yes. Of course my baby and I hate using the stroller because it ISN’T natural. I’m sure some people find strollers much more convenient but thus far I haven’t. 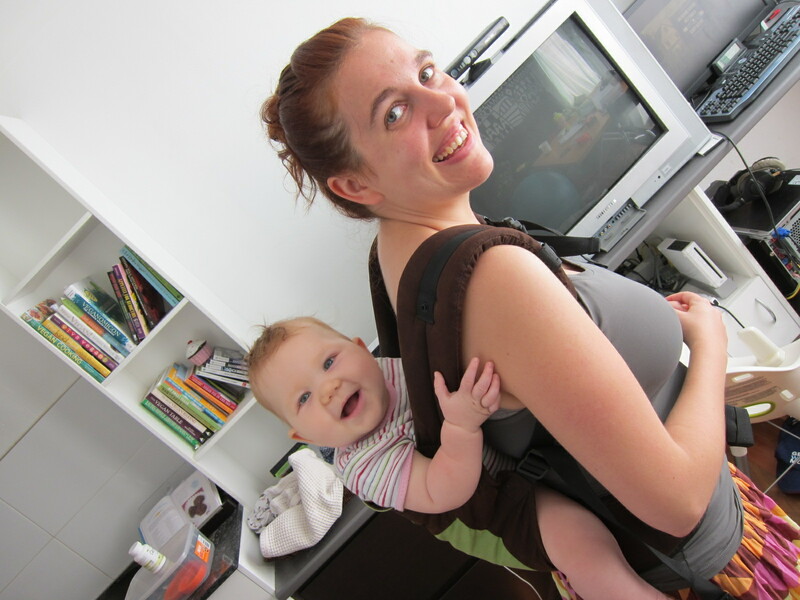 So perhaps I simply need to find a more comfortable way to wear my bub without wearing down my back, because the more I read about it, the more passionately I feel about baby-wearing! I had a similar experience recently with co-sleeping. It was something we had reservations about when we first started trying it, but now I can’t imagine sleeping any other way. And recently as well I came across a great article explaining why co-sleeping makes so much sense as well, from a neurological and anthropological perspective. Again I had and “of course” moment. As in, of course my baby would want to sleep close to me – her survival instinct tells her she could be in danger sleeping alone. On a more anecdotal level I’ve felt it’s really built up a strong connection between us – something we really needed in those early days. We both sleep better! I know baby-wearing and co-sleeping are not for everyone and that all babies are different. But if they’re practices you’re on the fence about or doubtful of, I highly recommend reading the articles I link to above as you may have a change of heart.